From coast to coast on the island of Barbados, there’s charm, enthusiasm, and pride about its rum and cuisine. Colourful rum shops appear everywhere — with churches almost always in close proximity. 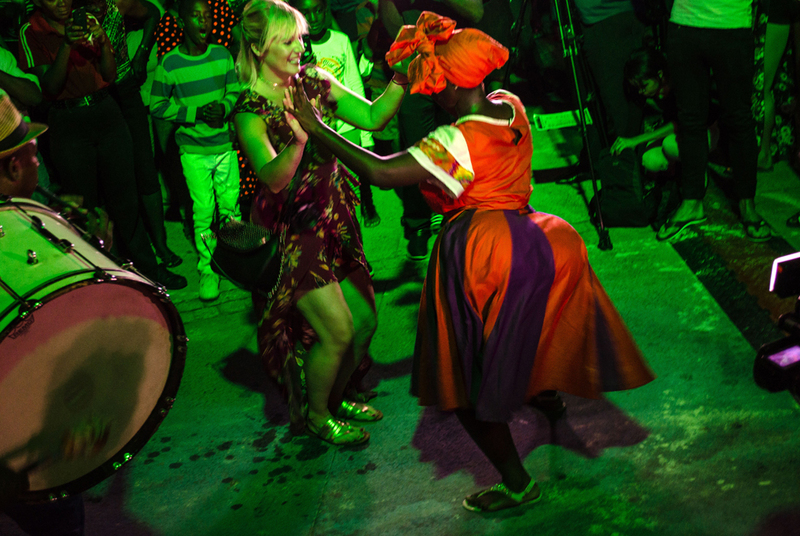 And as the reputed birthplace of rum, there is absolutely no shortage of the spirit to play with. 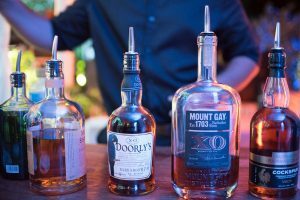 Barbados is home to four rum distilleries: The West Indies Rum Distillery, Foursquare, St. Nicholas Abbey, and Mount Gay Rum — the oldest rum in the world. Every November, as the island celebrates its independence, the Food & Rum Festival gets underway, showcasing the culinary artistry of top local and international chefs, and the creativity of the island’s mixologists. If you are a foodie, head to Barbados for a taste of soul, flavour, and of course love in a pot! 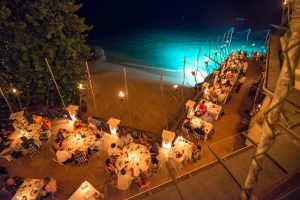 Barbados is the self-proclaimed culinary capital of the Caribbean, which its neighbours might find difficult to argue if the extensive number of international award-winning and experienced local chefs is anything to go by. Breadfruits, mangoes, avocados, soursops, golden apples, Bajan cherries, coconuts, bay leaf, cassava and sweet potatoes are plentiful around the island. And at the Food & Rum festival, these home grown ingredients took centre stage to create the culinary masterpieces. Let’s not forget the meats. Barbadians have a deep admiration for pork, fish, chicken, and black belly sheep (lamb) and these were utilised at every event. 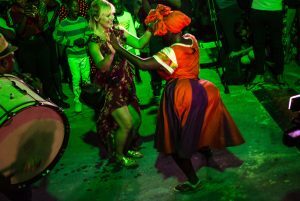 On Thursday 16 November, the festival kicked off with a Night Out at Oistins Bay Garden – the place to be every Friday night for the local Fish Fry. Barbados’ revered flying fish was on the menu, alongside other seafood of choice including swordfish, marlin, king fish, shrimp, mahi mahi, red snapper, lobster, tuna, and sea cat (octopus). Hundreds turned out and were wowed by the fresh seafood prepared on site, the mixology demonstrations, rum quizzes, prizes, and the dancing and entertainment that definitely worked off the decadent meal. Local tuk-bands joined with Mother Sally (traditionally played by a masked male with a large bosom, exaggerated derriere and wide hips) and stilt walkers in high energy choreography, leaving audiences agape and waistlines sore! “Wuk-up” lessons and competitions were in high gear while patrons took to the stage to sample the night’s fare prepared by local chefs and mixologists. 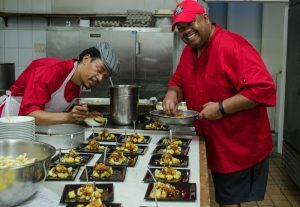 “The development we’ve been doing for so long is coming to fruition,” says award-winning Barbados Culinary Team Manager and Executive Chef Henderson Butcher. Chef Butcher spends his time creating local menus with innovative twists and helping young budding chefs develop their talents. As he drives around the island and sees the chefs’ photos flying from banners, he’s excited to share a story about each chef with his passengers. 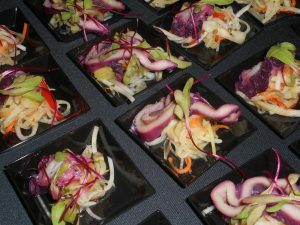 On Friday night at Taste of the Exotic at the Concorde Museum, mere metres from the Grantley Adams International Airport, Chef Butcher featured a mouth-watering Purple Pickle Octopus using Mount Gay Silver Citrus. It was perfectly paired with the grilled smoked basil lemonade, a crowd favourite prepared by Chef Ryan Adamson — the Caribbean Hotel & Tourism Association (CHTA) Caribbean Bartender of the Year 2017. Meanwhile, Chef Damian Leach — 2016 Chef of the Year and 2017 Best Seafood Winner of the CHTA Taste of the Caribbean competition — paired lionfish and tuna poke with mixologist Philip Antoine’s Cockpur Rum Bajan mango fusion as one of his dishes. The variety of hor d’oeuvres and aperitifs was mesmerising, and so was the night’s entertainment with Barbadian band Spice & Company. The countdown is definitely on for next year. 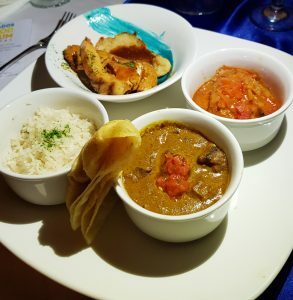 Canada-based Trinidadian chef Chris De La Rosa of Caribbean Pot was the international celebrity chef alongside local chef Duayne Holligan at the Gourmet Safari Dinner at the Crane on Saturday night. Trinidad is well-known for their pepper sauces, but if you expected to taste the treasured Trinidadian Mother-in-Law pepper sauce from this YouTube sensation and social media icon, you were in the wrong place. Chris used popular Bajan pepper sauce, seasonings and other local ingredients for the culinary journey. Traditionally, he says he prefers to drink alcohol rather than cook with it, but for cooking he uses a dark aged rum. He advises people to cook with rum they enjoy by incorporating it into their dishes naturally, even if it is a marinade. Look out for Chris in Barbados again next year as the Minister of Tourism Richard Sealy has challenged him to a cook off! The festival climaxed on Sunday under the stars with a beach party at the Hilton Barbados Resort. A tropical, family atmosphere with a sea of food tasting stations and phenomenal entertainment — a great end to a delightful weekend. If you can’t make it to Barbados in November for the festival, that’s not a problem. In 2017, Food & Rum pop-ups began happening in August around the island. Local liming spots East Point Grill, Palm Grill, The Lobster Pot, and the Mill were just some of the venues. There were rum identification competitions, amateur mixology competitions, ticket giveaways, live performances and food. And the best part, it was absolutely free. For just a taste of the festival, it’s no wonder each signature event was completely sold out. 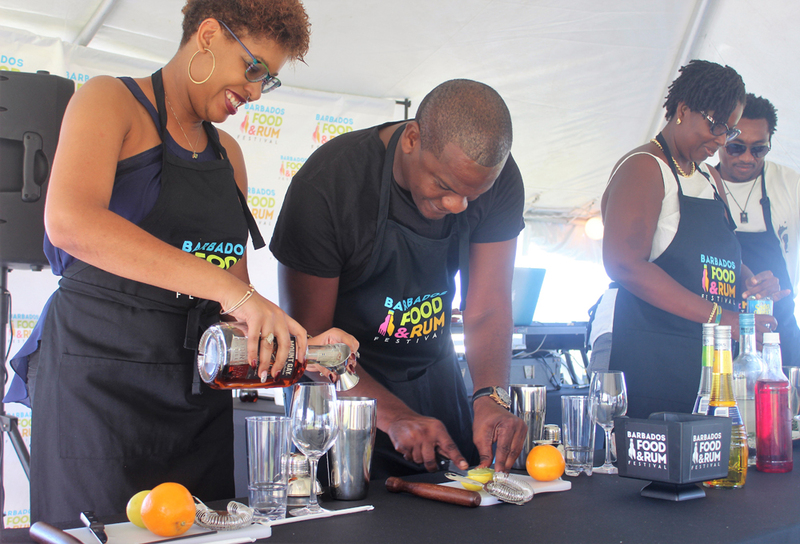 The 8th edition of the Food & Rum Festival in Barbados was truly elegant, spectacular, and inclusive. No need to be apprehensive if you don’t consume alcohol. Virgin cocktails were provided by some mixologists, and the chefs were happy to cater to special requests for food and alcohol restrictions. Vegetarians and people with other dietary requirements can also participate and relish in the festival. For the dinner setting, it’s recommended that you inform the restaurant ahead of the event if possible for more enjoyable dining experience. 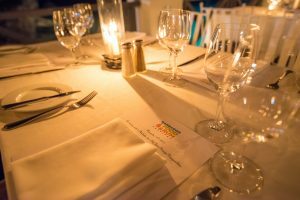 So get ready, as Barbados has dubbed 2018 the Year of Culinary Experiences. Bon appetit!